Here at Green Springs Plantation, nestled on a 225 acre estate, we have more facility than we can use for own personal mounts and the idea inevitably arrived that it would be nice to fill it with boarders. We are a family owned and operated farm. We are perfectly located in and area that brings you back to the historic romance between the horse and its master all in a perfect rustic and preserved agricultural setting. 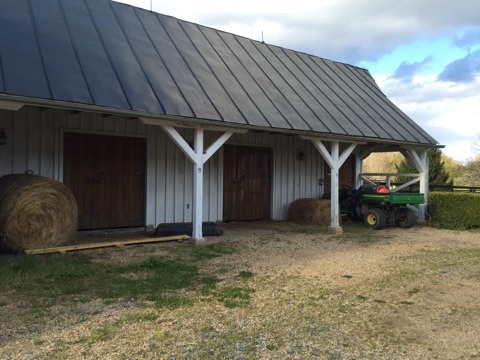 Green Springs Plantation has stables for the boarding of up to 6 horses, including tack room and washing facility. We also offer outdoor boarding on 15 -30 acres of beautiful pastures. Our expansive land is perfect for equestrian training and other equestrian-related activities. We are 17 miles West of Charlottesville, home of the University of Virginia and 7 miles from Keswick, Virginia. Green Springs is surrounded by pristine pastures and in the epicenter of fox hunting. We have over 100 acres of private wooded trails available to all renters.